Comments: Even though the color obscures some of the obverse of this coin is is a solid MS 63 or possible toward the upper end of the grade. 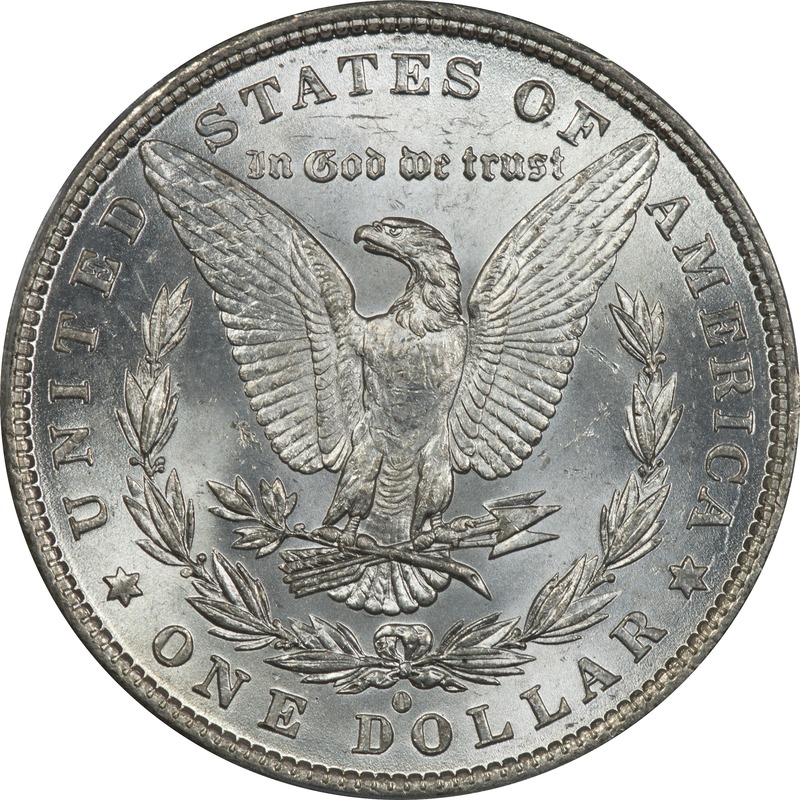 Not everyone would like this coin because of the monochromatic nature of the toning. 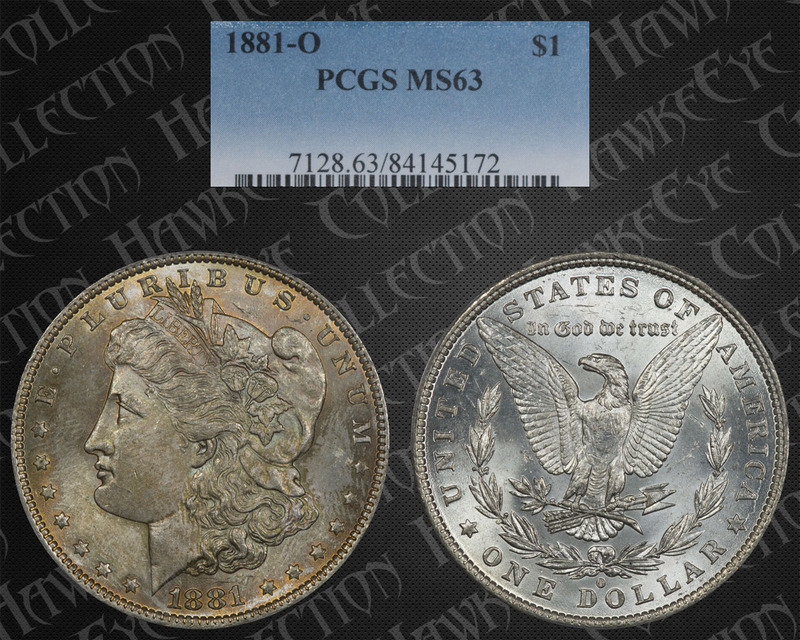 We almost left it out of the Toned Coin section, but changed our mind at the end. The color covers the entire obverse and has a great golden glow. The more we look at it the more we like it. This appears to be a bag toned coin. 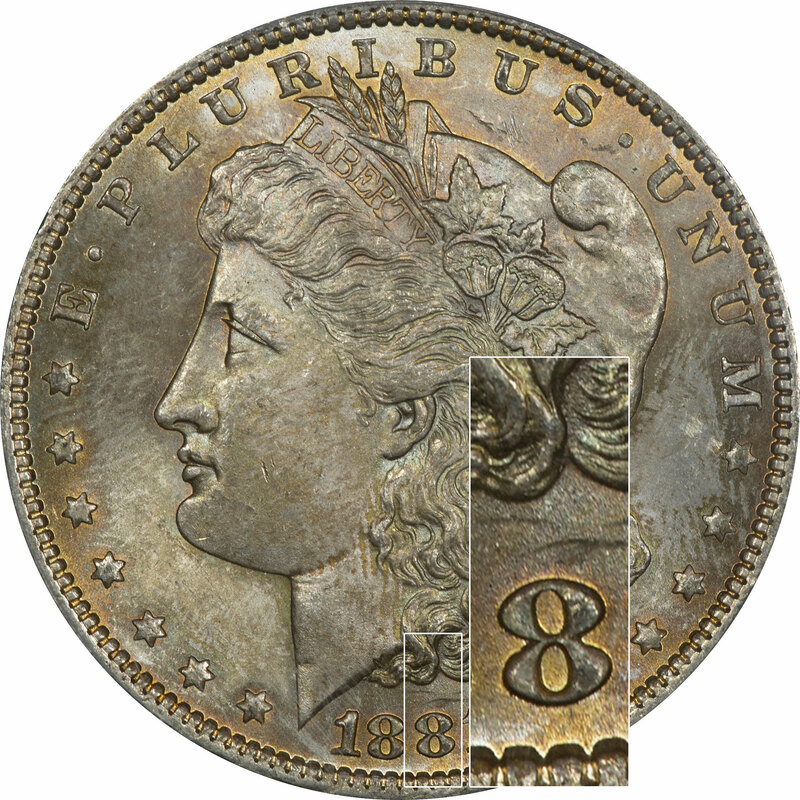 The color, although across the whole obverse, shows the color and damage that comes from a bag. In particular there are signs of fabric contact on the neck and several other areas. When you enlarge the photographs you can see that there is a little variation to the color, but not much and it stays in the same range. It obviously is heavier toward the rim. Toward the center the color is more russet, which is first cycle color. Then the color toward the rim is more sunset yellow or gold, which is second cycle.